In the incredibly charged environment of GO TELL Camps, God’s Word is taught by today’s leading Christian authorities. Students and their leaders worship alongside dedicated, passionate artists; and no life goes untouched. Since 1989, God has anointed and used GO TELL Camps to evangelize and disciple tens of thousands of students and their leaders. 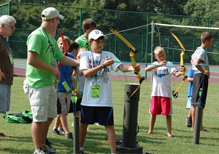 GO TELL Kids Camp is focused on meeting the spiritual needs of kids (those who have completed the 3rd through 5th grade) through encouraging a personal relationship with Christ. 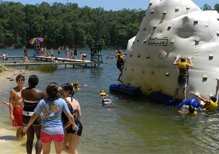 It is an exciting 5-day, 4-night camp week that will offer worship, Bible study, small group time, recreation, games, drama and lots of fun activities to strengthen relationships and make memories your kids will never forget. 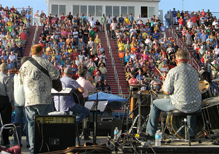 GO TELL’s crusade ministry unites churches in a community who pool their resources to prepare the way for evangelistic outreaches to be held in football stadiums, civic centers, and coliseums. The nightly event features video, popular Christian artists, testimonies of hope and inspiration, and a clear Gospel message. Taking the Good News around the world, the GO TELL Missions teams minister to the spiritual and physical needs of individuals and families in overseas communities every year. 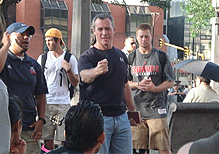 GO TELL missionaries have shared the Gospel throughout evangelistic meetings in a number of venues and have distributed resources to many in schools, churches, orphanages, hospitals, and through street evangelism. 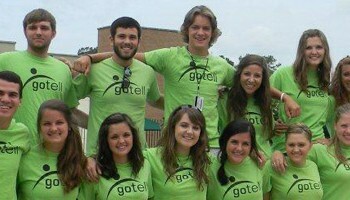 The GO TELL Summer Intern Program is made up of high school graduates and college students nationwide who all have the same desire – serving others! The main focus of GO TELL’s internship program is to provide students with an opportunity to gain hands-on ministry experience that will enhance their calling in life. Students may participate as a volunteer intern or a scholarship intern with the possibility of earning a tuition grant to a participating College, University or Seminary.